As a chef, you are always taking inventory usually in the way of how many eggs, pounds of beef, gallons of sauce, etc. But every once in a while, we as most people do take personal inventory. Where am I? How did I get here? Where am I going? What makes me tick? These are the personal inventory items I was reviewing when I decided to launch Southern Routes Catering. I knew I enjoyed the raw, “nothing gets in the way”, no B.S. approach to food that food trucks where offering. No table clothes, minimal service staff all about great food for great people. At the same time I was helping build a catering company and experienced the joys of planning and executing personalized events. How awesome is it to bring amazing food right to where your party is! Going the extra mile is the trademark for all the events we do. Weather we are serving up gumbo at an amazing music festival or building a stunning appetizer display at a wedding we want to bring the best we have to offer every time and for every occasion. You will see us at our best during all kinds of events including..
My boyfriend "cooked" me Valentine's dinner with the help of the Southern Routes catering package and it was absolutely amazing! The food was DELICIOUS (we literally ate every bite), the presentation was incredible, and it came packaged so that it was fool-proof to put together. They even went so far as to photograph the plated meals so he would know exactly what to do. I felt so loved and special and loved how successful he felt, too! The GA Tomato BLT was phenomenal. Best BLT I've had in a long time. The staff was so nice and friendly and I'm definitely going to find them around Atlanta again. If you see them, stop. Southern Routes catered a 50 person work function I organized, and I could not have been happier with the quality of food and their service. Adam was very responsive to calls and emails as we planned the details. He worked with me to tailor a menu that fit the event needs and even served from a buffet line inside our venue. 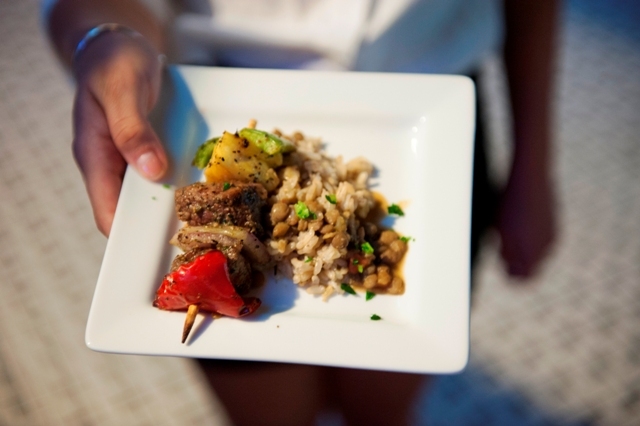 Best of all, event attendees RAVED about the food. Highly recommend Southern Routes for lunch or dinner at your next work event! Amazing food. The pimento cheese and peach cobbler are outstanding. One of the better food trucks I've had in Atlanta!